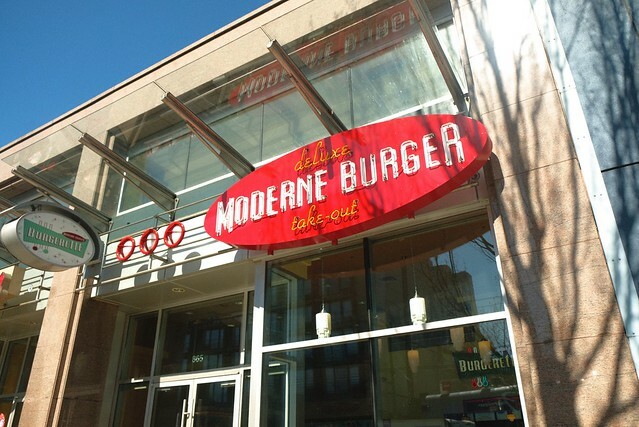 Fairview Slopes—The beloved Moderne Burger finally reopened in its new counter-service "Burgerette" location on West Broadway after the long-serving, original Kitsilano spot shuttered last year—leaving seventeen years of history due to dreaded redevelopment. 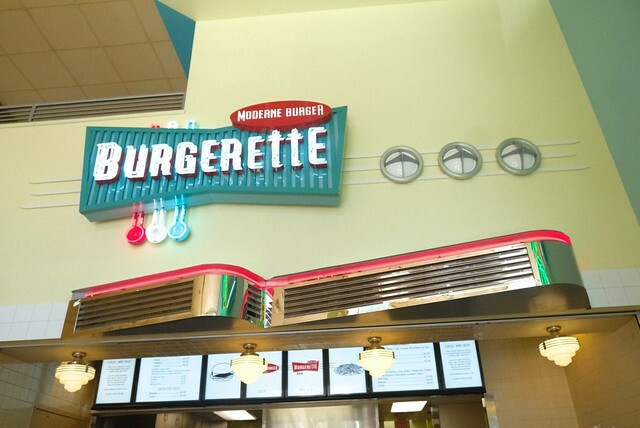 The very first thing you'll notice about the new Burgerette is how it's been retro-fitted to takeover one-half of one of those short-lived and immediately dated Tim Hortons/Wendy's combo restaurants from when they were briefly corporate siblings. So the new Moderne Burger shares a common, split-level fast food dining space with an adjoining Timmy's location that feels more than a bit awkward. 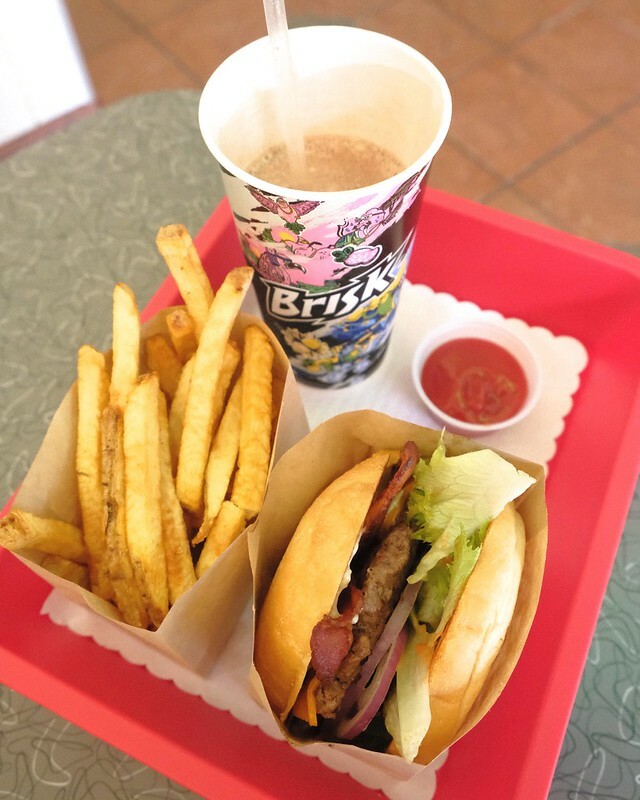 As for the grub, it's largely the same (in slightly smaller sizes at reduced prices) with your choice of meat patty (steak/beef, veggie, or turkey), fresh cut fries, and those trademark milkshakes with some offbeat flavours like creamsicle, coffee mocha, and chocolate covered cherry. 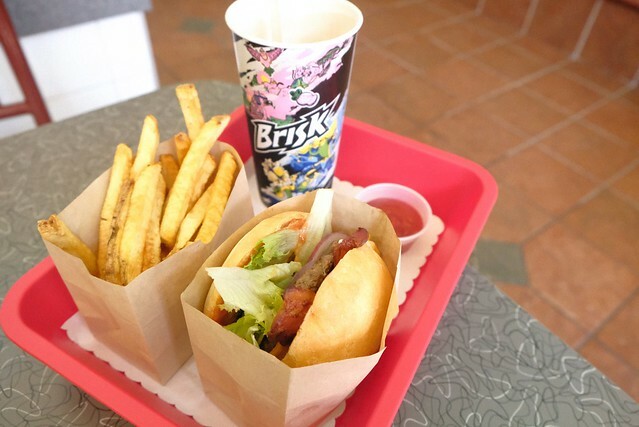 However, adapting to fast casual service from its previous proper sit-down restaurant style has made the wait and other little adjustments more noticeably an issue while trying to balance the same quality as before. For those who loved Moderne Burger, the new incarnation has brought enough of the familiar with some changes to likely satisfy your burger hankerings. One must wonder though how much of the original was an anachronism of the past that either needed to be preserved or overhauled to match today's diners.